Mark McConnell is a part-time beef and sheep farmer who has been working in REPS since 1998. 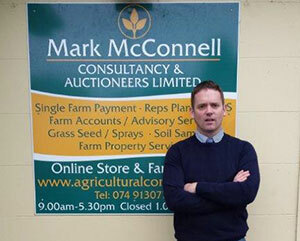 He has been running Mark McConnell Agricultural Consultants since 2001 and are members of the Agricultural Consultants Association and hold current Professional Indemnity Insurance cover. To receive payments under the Single Payment Scheme you must follow a variety of regulations on the environment, public health, animal health, plant health, animal welfare and land maintenance. We provide a professional and prompt soil analysis facility. Soil analysis will tailor fertiliser application to match crop requirement ensuring optimum crop production, by reducing nutrient loss to the environment and growing farm profitability. We look after all the requirments including supplying signage for farmers on this scheme. We organise farm discussion groups for dairy, beef, sheep and tillage farmers. We provide a complete farm accounts service to all large, small and part-time farmers in Donegal, in conjunction with Kelly Accountants. An essential service to anyone wishing to dispose waste by way of land spreading in an efficient, environmentally friendly way. We provide a comprehensive service including soil analysis, waste analysis, waste catchment and storage etc. Usually required for legal disputes, compulsory purchase order assessments and insurance claims. Mark is also officially holds a Commissioner for Oaths and authorised to verify affidavits, which are statements in writing and on oath, and other legal documents. This scheme is currently closed to new applicants but for existing REPS farmers we provide an annual consultancy service, updating plans as required, keeping records and assisting any farmer to comply with the terms and conditions of the scheme. We offer the full list of services for farmers and manage all available schemes. For more information or to avail of our free no obligation first meeting, please contact our office today on 074 9130772 or fill in our enquiry form. Mark, originally from Castlefin received his early education in Castlefin National School and St Columba's College, Stranorlar. He spent four years in University College Dublin studing agriculture and was awarded a BAg.Sc Degree in Agriculture. He then spent a year working on farms in New Zealand before returning to Ireland to work in REPS. Mark has built up a large client base all over Donegal in the nine years of opening his own consultancy and covers the whole county. As well as REPS, Mark McConnell Consultancy also deal with other schemes like Single Farm Payments, Grant Applications, Installation Aid, Early Retirement and Farm Waste Management. There are now three full-time staff working out of our new offices at The Glebe, Stranorlar. 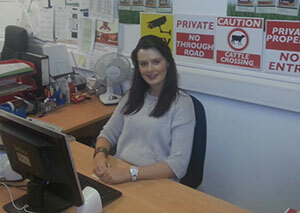 Aisling deals with all clients on all aspects of the business and has been working full time for the company since January 2012 She has an interest in farming coming from a farming background (Suckler cattle) and helps out at weekends. Experience in farm accounts, business and taxation.